Somali Football Federation has on Friday held a luncheon for Somali sports ministry, Somali National Olympic committee and its affiliated national federations at the Indian Ocean restaurant in the Lido beach resort of Mogadishu in a bid to open a new cooperative era for Somali sports ministry, the national Olympic committee and its member federations. The luncheon started with words of sympathy and mourning for the loss of former Somali president Abdullahi Yusuf Ahmed who died in the UAE over night on Friday. 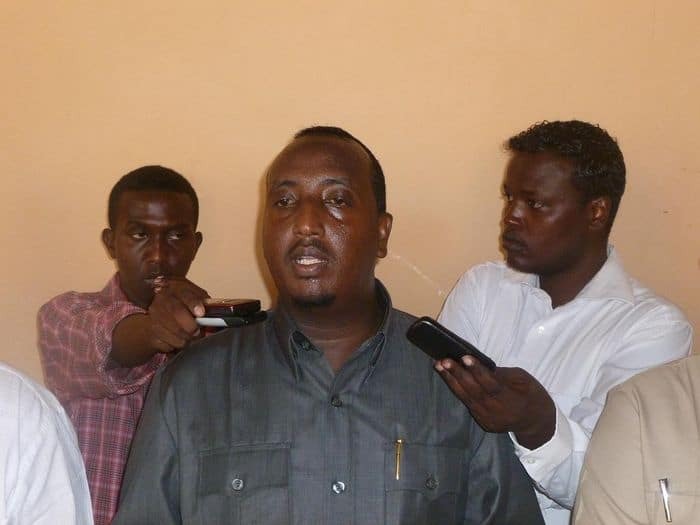 Somali Football Federation secretary General Abdiqani Said Arab who first addressed the luncheon ceremony said the invitation had two meaningful matters for Somali Football federation; one is to present the successive hard tasks that Somali FA is doing in the country and the other is to help the creation of future cooperation between the ministry and the sorting organizations. 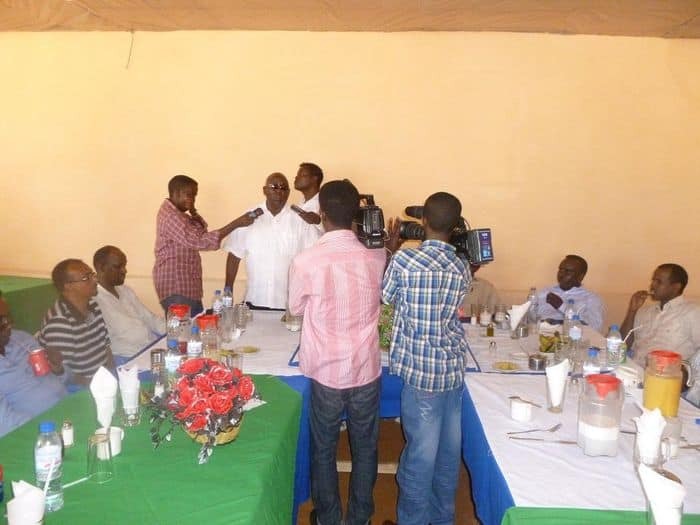 “It is a great honor for Somali Football Federation to invite the ministry of sport and the country’s sporting organizations here today in a bid to strengthen cooperation and we are very grateful to all of you for accepting our invitation,” the SFF president Said Mahmoud Nur told the luncheon. 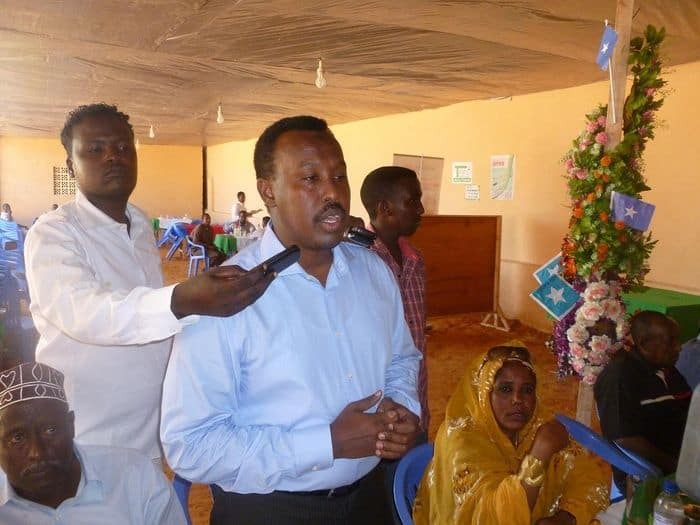 He said that the congregation was a signal for how Somali sorts ministry, Somali NOC and its member federations are now committed to going forward to jointly work on the development of Somali sports. The president of Somali National Olympic committee Aden Haji Yeberow praised Somali Football Federation for organizing such very precious luncheon which meant to strengthen cooperation between the NOC, its affiliated national sporting federations and the country’s ministry for youth and sports. 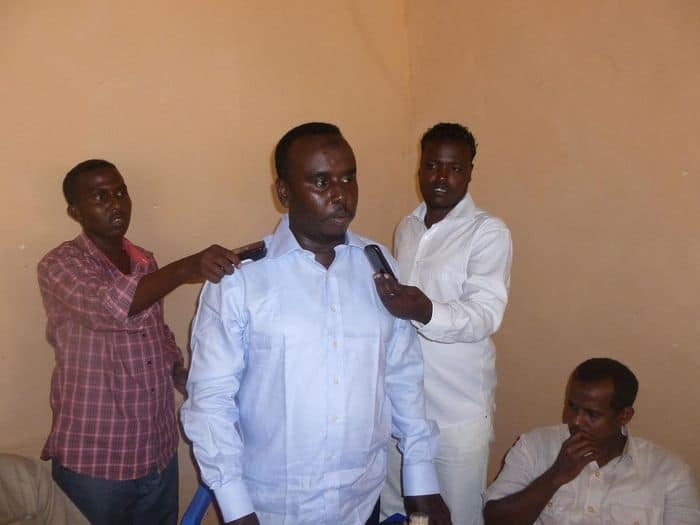 “For our part, we are pledging to develop unity and cooperation with the ministry as we always did in the past, because unity is power and will help us go forward,” said Somali National Olympic committee president Aden Haji Yeberow before handing over the microphone to the youth and sports minister Mohamed Mohyaddin Sheik Mursal. The minister said he was very grateful to the Somali Football Federation for understanding the importance of unity and cooperation adding that his ministry will establish joint work with Somali NOC and its member federations. “Somali government has no enough budget and it is still depending on international community assistance. But as the minister of sport, I promise here in front of you that the ministry of sport is ready to do all it can to help you continue your hard tasks,” the minister stressed. 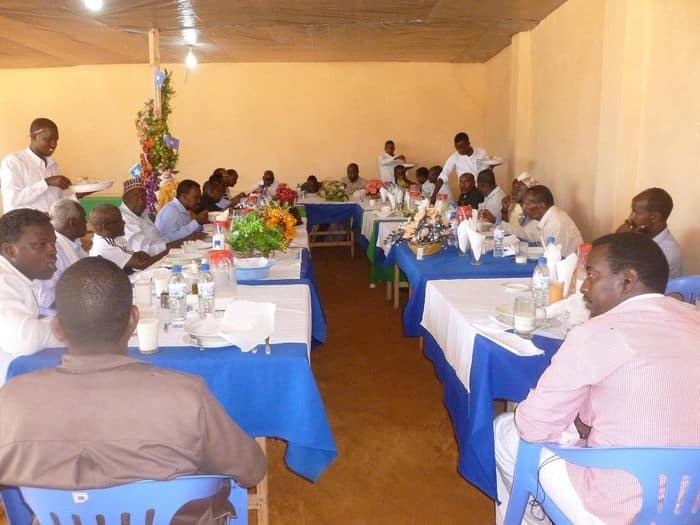 On Monday, the 19th of March officials from Somali Sorts ministry, Somali National Olympic committee and the presidents of National sports federations and associations held a lengthy meeting at the ministry compound where they finally agreed to forget the past and renew cooperation. In November last year the minister said he dissolved the Somali Football federation which despite the announcement continued its operations in the war-devastated country.